We gave ourselves a $15 budget to go on a shopping spree for products we wouldn’t normally try and we share our thoughts about those products in this episode. Sacramento-area branches of Costco and Trader Joe’s have pulled all products involved in two separate multistate recalls of food that may be contaminated with listeria bacteria. A large and wide-ranging recall spurred retailer Costco to voluntarily remove quick-frozen vegetables and fruits from all seven of its stores in the Sacramento region. That recall, announced in April, has expanded to include 42 brands involving 358 vegetable products sourced from a CRF Frozen Food plant in Wasco, Wash. The products go by names such as Organic by Nature, Columbia River Organics and Farmer’s Bounty and involve items such as corn, edamame, raspberries, potatoes, kale, cherries and peas. The recalled products have “sell-by dates” from April 26, 2016, to April 26, 2018, said Craig Wilson, vice president of food safety for Costco. “They can throw the product away or return them for a full refund,” Wilson said. So far, eight cases of listeria have been identified since 2013 by the Centers for Disease Control and Prevention, with six in California. Genome sequencing of the listeria bacteria in those cases indicates the bacteria originated at the CRF plant, the CDC said. That identification was aided by genetic fingerprints of former listeria outbreaks being uploaded to a CDC database. The center later found a genetic fingerprint match from that database to start an investigation, said CDC spokeswoman Katie Fowlie. Consuming food contaminated with the bacteria Listeria monocytogenes can cause listeriosis, a possibly fatal infection that affects mostly older adults and people with weakened immune systems. Symptoms include fever, chills, headache and nausea. In immuno-compromised people, listeria bacteria can invade the nervous system and cause meningitis or brain infection. In a CDC study of listeria cases between 2009 and 2011, 21 percent of 1,651 nationwide cases were fatal. The bacteria prefers damp, cold environments and can grow and multiply in some foods in a refrigerated environment. In a separate recall, Trader Joe’s has removed the product labeled “Trader Joe’s Broccoli Slaw & Kale Salad with White Chicken Meat” from shelves at its seven stores in the Sacramento region, said the chain’s spokeswoman, Alison Mochizuki. That recall stemmed from a U.S. Department of Agriculture Food Safety and Inspection Service announcement this week that sunflower seeds in the product may be contaminated with listeria. “We are asking for customers to dispose of the product or bring it back to us for a refund or exchange,” she said. The products, packaged in 9.3-ounce plastic containers, have a “use-by date” between May 2 and 7, Mochizuki said. The products subject to recall bear establishment number “P-17156” inside the USDA mark of inspection. The Trader Joe’s products were processed at a Ghiringhelli Specialty Foods plant in Vallejo. The recall involved 33,610 pounds of Trader Joe’s product. The sunflower seeds were sourced from the Canadian specialty food company SunOpta, said Mike Ghiringhelli Jr., general manager of Ghiringhelli. When I saw the title "shopping spree" I thought, "OMG they got to go on a shopping spree at TJ's! That's great!" But then I realized what you meant. I'd love a shopping spree there. 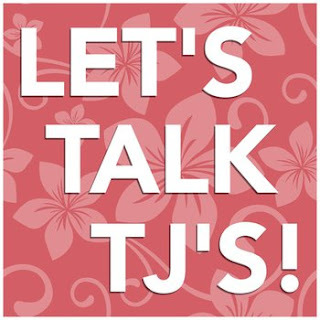 I'd also like them to host a singles night for likeminded TJ's loving people.